Would like to be a featured poet on our show? Please go to this LINK and fill out a short questionnaire. ...October 2014. There was a poetry reading at Harriet Brewing featuring Katie Rauk, Kristin Fitzsimmons, and Matt Mauch. It was, to use the current parlance, “curated” (which seems to imply that poetry has achieved museum status – which i think is not good) by Brett Elizabeth Jenkins – which means she set it up. What made this particular reading unique was that it was held in a taproom. Of course there are the Bosso poets that regularly meet at Dusty’s, but this was the first time that anyone could recall a reading beingheld at a taproom – which seems odd given the plethora created by the exploding local brewery scene here in the Twin Cities. And so this happened. Really. I’ve had some time to think about what we’re trying to do here – like approximately one year’s worth. Why this? 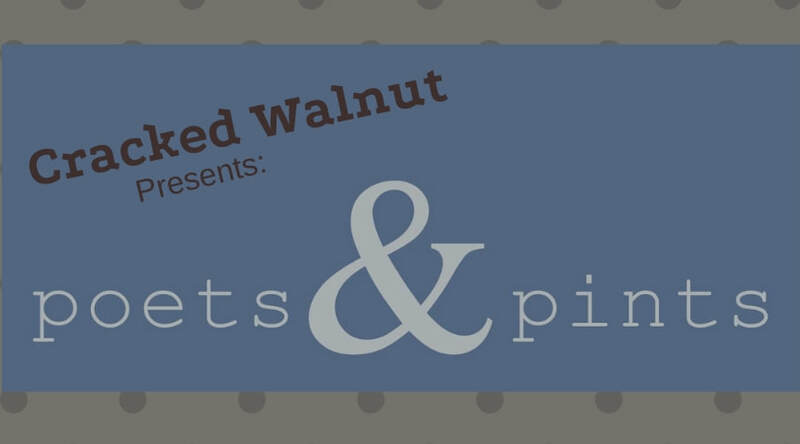 Why Poets & Pints? What is the connection between poetry and its linguistic creativity and events of intoxication? Certainly the mythology is extensive – from Dylan Thomas, the Beats and Bukowski to Chaucer’s reflection on pilgrims on their way to Canterbury all the way back to Dionysus himself. Of course, the more immediate question for myself as “curator” and for our sponsors was, would anybody attend such a thing – in large enough numbers to make it worthwhile? Would it be cool if a poetry reading just suddenly broke out at your favorite watering hole? Or would it simply be a nuisance? Would people just passing through be repelled or engaged? Outside of the romance of the myth, is there any real resonance with this idea nowadays? Well, unbelievably enough, we’ve made it one whole year, and the audience for this just seems to keep on growing. I’m not sure what this proves, other than our sponsors serve some damn fine beer, but I hope it means that poetry still speaks beyond the walls of polite academic discourse and the independent coffeehouses to which it appears to have been consigned. That poetry is still part of the lingua franca, part of the common discourse of society, and not just some esoteric language unto itself. 3/5/2019 - Tony Plocido - Began search for venues to expand Poets & Pints to the other side of the river (St. Paul). 3/1/2019 - David Bayliss stepped down and Tony Plocido became the new Curator/Host of the show.